I’ve written about USA in this blog before but it’s always hard to pinpoint my exact favourite place there. People often assume that just because Americans share the same language with us Brits, that we are a similar kind of people. But let me tell you, that’s certainly not the case. Aside from both speaking English, we actually have little in common – in fact, we probably have more in common with our European neighbours than we do with those on the other side of the pond. Different foods, different mentalities, different outlooks… The list goes on, which is what makes visiting it an amazing experience each time. But my favourite trip was perhaps five years ago when I had a week in Washington DC. 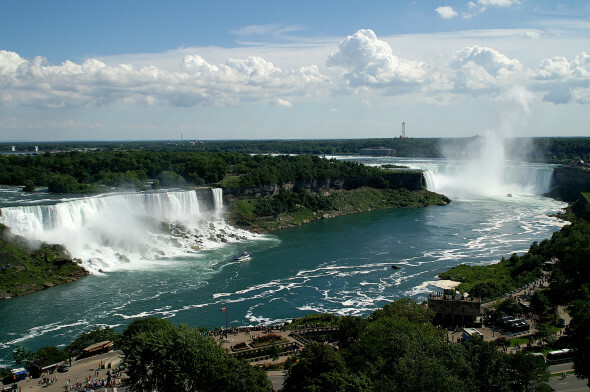 During my time there I took the opportunity to travel up to Niagara Falls and was blown away. Granted, the two days were actually spent in Canada, but who’s counting?! Of course, it’s not exactly the type of tourist destination you can just pop over and see without a great deal of planning. But if you ever find yourself in that neck of the woods, then you’d be a fool to miss it off the list.